through them, then choose "Enter Code" to activate the code. To kill the first Boss, wait until you see an opening in his shield. the process until he has been defeated. crate about a foot away. 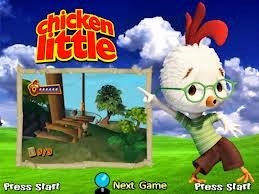 While the game is loading, press [Space] and Chicken Little will spin around.